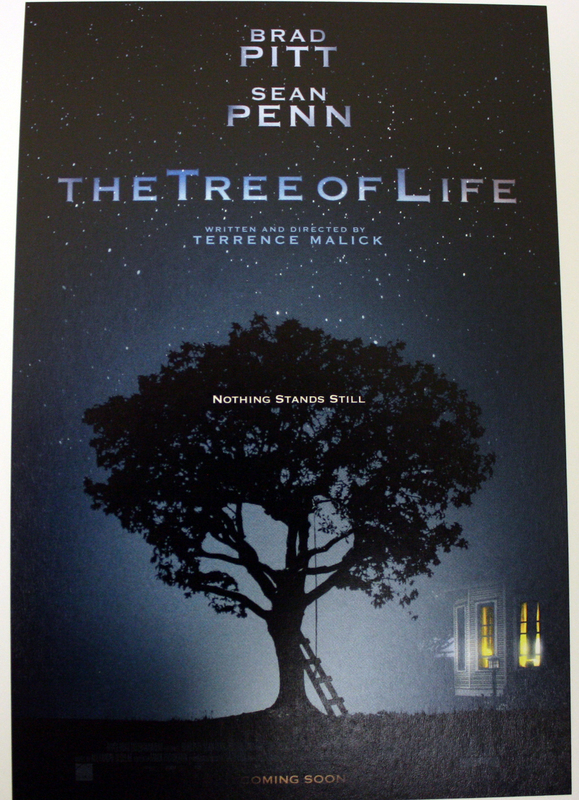 For anyone else who has been following the insanely secretive and mysterious project “The Tree of Life,” directed by Terrence Malick, I thought I’d quickly post this link. The Collider has reported the brand new poster for the film set to be released in May of next year, as well as a very poetic synopsis. For as long as I’ve been looking forward to this film, Terrence Malick being the visual genius that he is, both the synopsis and the poster really seem kind of….boring. For sure the trailer will reinvigorate my anticipation, but for now, I’m kind of disappointed.